We continue to look at the story of the Territorial Force (TF) divisions of the North West in the Great War. The winter of 1917 was marked with moments of victory, frustration, false hope and near disaster for the British Expeditionary Force in France and Belgium. In the 1917 Battles of Ypres the armies fought very slowly through often appalling conditions to reach the crest of the Passchendaele Ridge. In this article we look at the two East Lancashire Divisions and at the 57th (Second West Lancashire) Division in 1917. Notes: KLR The King’s (Liverpool Regiment) LF Lancashire Fusiliers ELR East Lancashire Regiment LNLR Loyal North Lancashire Regiment. 1/5th LF would be 1st/5th Bn Lancashire Fusiliers (said as ‘First Fifth). A battalion was 1000 men at full strength (rarely achieved). 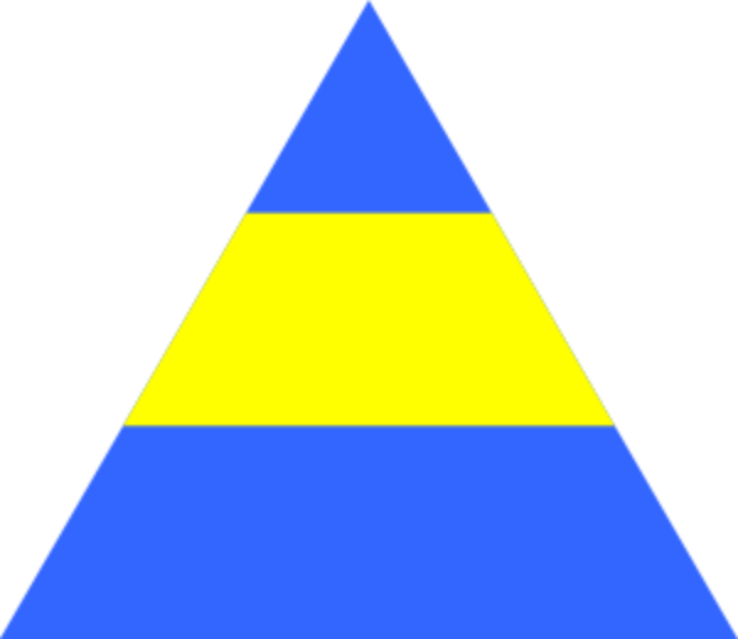 An Infantry Division had three infantry brigades, each of four battalions, and an additional infantry battalion as pioneers. It was supported by its own field artillery, engineers (including signals), medical and logistic support and would number approximately 20,000 men at full strength. Tickler brought his company in under cover of darkness. 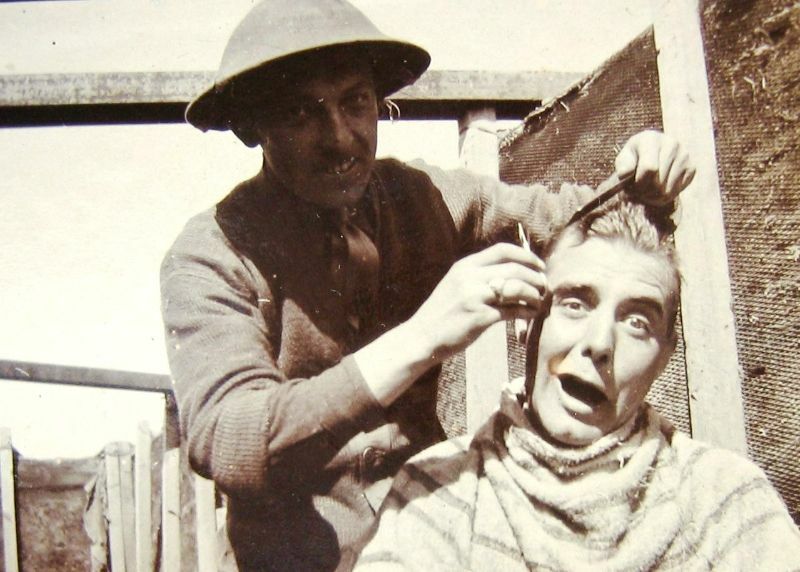 Tickler’s Jams was a household name, making ‘plum and apple jam’, a staple of trench diet and the subject of impolite songs. 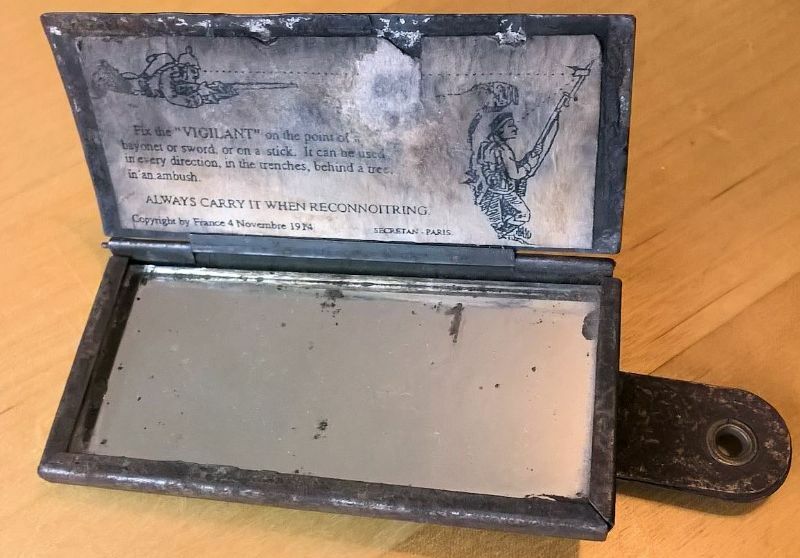 Early in the war, Tickler’s empty tins became ‘jam-tin bombs’ with the judicious addition of gun-cotton, iron shrapnel and a fuse. It is difficult to believe that Horridge really expected a “five second” response, less than the time of flight of the shells. 42nd Divisional artillery supported vigorously, firing eighteen-pounder rounds at a rate of up to ten per minute when four, was the normal ‘fast’ rate to avoid barrel-wear. Remaining in line after the infantry came out, their guns were heavily committed to the Battle of the Menin Road Ridge (20th - 25th September). The 42nd Division, moving north, relieved the 66th (Second East Lancashire) Division on the Belgian coast at Nieuport until the end of November. By then, the divisional commander had been replaced. 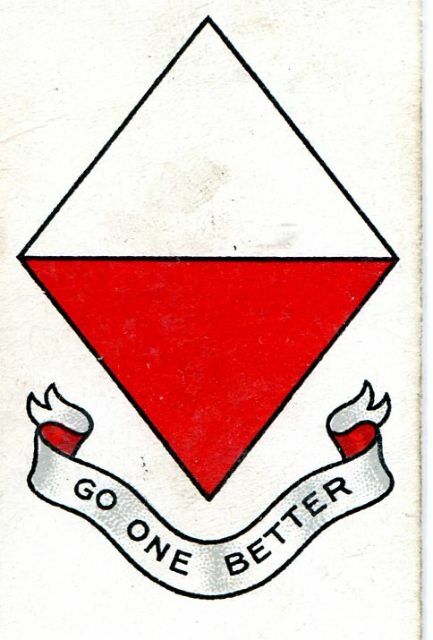 The 66th Division was a ‘second-line’ TF division, created early in the war and recruiting from the same Lancashire areas into the same regiments as its counterpart, the 42nd. Coming to France from the UK in spring 1917, it had gone to the Nieuport area and was to co-operate with a planned amphibious operation, ‘Operation Hush’, to coincide with the Ypres offensive. This sea-landing was postponed and eventually cancelled as a German attack in mid-July disrupted preparation. 198th Brigade (Manchesters and ELR) began moving forward early the previous day, spending the afternoon stationary with cover from neither rain nor shellfire. Their final night approach was about 2 miles through glutinous mud that took around 12 hours or more. Two battalions failed to reach the start line by Zero Hour (5.20 am), the last arriving only by 7 am. 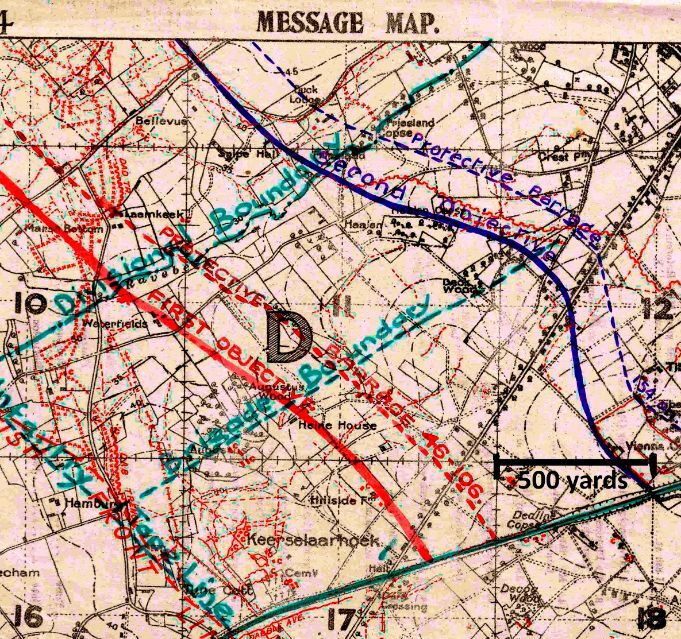 Behind an inadequate creeping barrage, they attacked defences, relatively undamaged by artillery, to be held up just short of their first objective (see map). 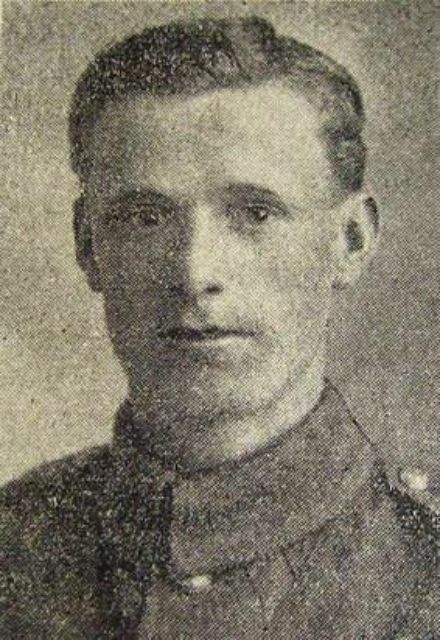 George Crawshaw, an old boy of Bury Grammar School and medical officer of 2/5th ELR, won the MC for his gallantry in tending the wounded. 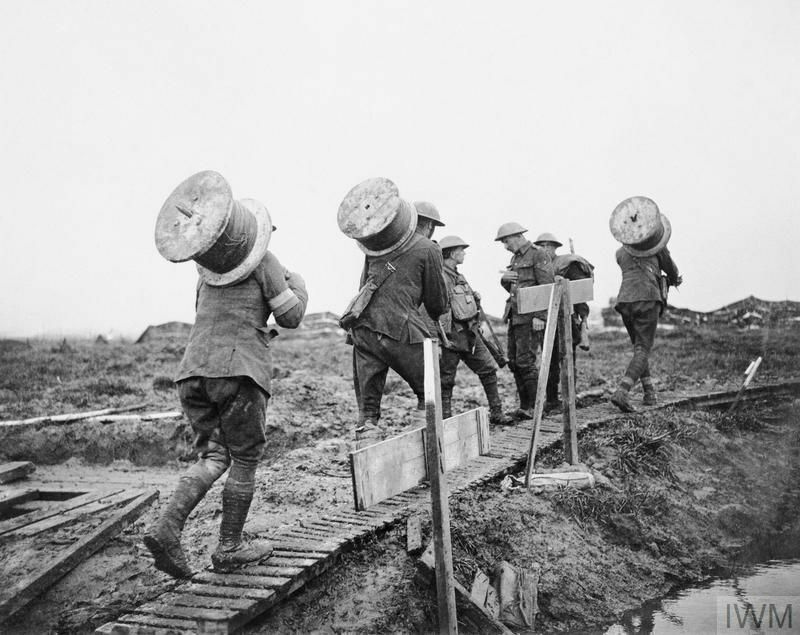 On a similar approach to their ‘taped’ start line, the 197th Brigade on the right (all LF battalions) struggled along a rain-sodden track churned by pack animals and described as ‘exceedingly bad and where it crosses the Zonnebeke [stream] particularly, was well over the knees in mud of a very adhesive nature’ [War Diary, 66th Division]. The Brigade missed Zero Hour but they went immediately into the attack, disorganised and exhausted, reaching their objective 700 yards from Passchendaele village. After some confusion and possibly unnecessary tactical withdrawal to stay in touch with flanking units, the overall advance on the day was some 500 yards in return for divisional casualties of over 3000. On the morning of 10th October, a runner appeared at HQ 2/5th ELR where the CO had taken command of all troops in the area. The barely legible message seemed to say that the objective was ‘to be taken at all costs’. A conference of COs agreed that this would mean annihilation for the disorganised and intermingled troops of 198th Brigade. It was then realised that the message was 24 hours late: total disaster was averted. It was Lancashire's Day especially because of those Territorial Battalions of the Manchester, East Lancashire and Lancashire Fusiliers......of the 66th Division …The brunt of the fighting fell yesterday (9th Oct.) in the centre upon troops of North Country England, the hard tough men of Lancashire and Yorkshire [49th Division]. 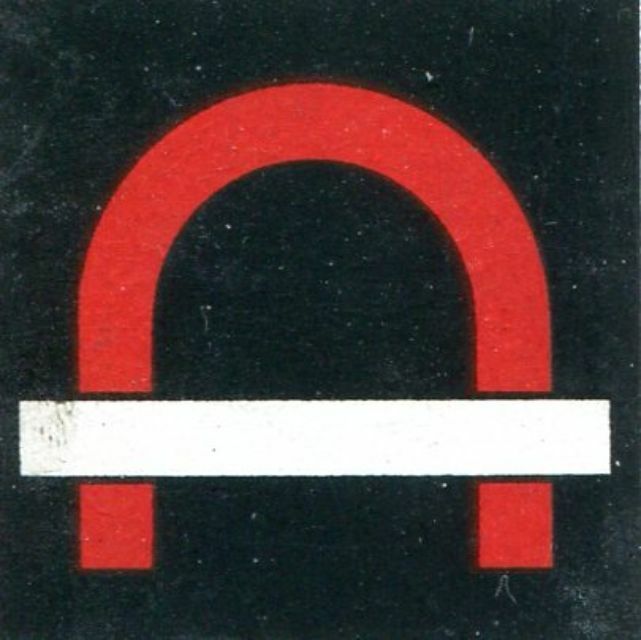 The 57th Division was a ‘second-line’ division, the shadow of the original 55th (West Lancashire) Division. Its battalions came from the King’s (Liverpool Regiment) [KLR], the Loyal North Lancashire Regiment [LNLR], the King’s Own (Royal Lancaster Regiment) and the South Lancashire Regiment. Whilst the first-line battalions went overseas in 1914/15, the 57th Division remained on home defence until going to France in February 1917. The division was initially deployed in relatively quiet areas near Houplines and Bois Grenier, but still the cemeteries behind those lines hold many graves of the division’s men. Erquinghem Churchyard Extension Cemetery has nearly 140 divisional graves, over 45 of them belonging to 2/10th KLR whose rear HQ was in the town. 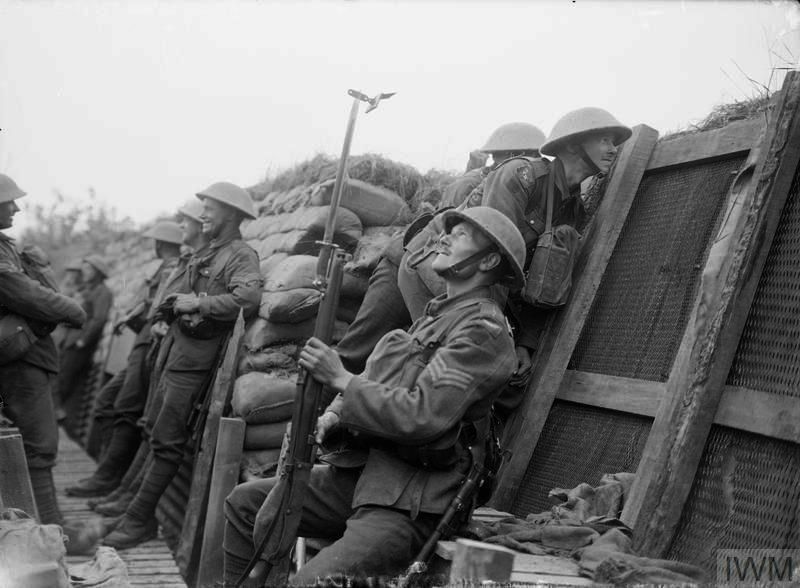 By mid-September the division was training in preparation for a ‘push’, the 1917 Battles of Ypres still being in full flow. Of this training, the historian of the 2/6th KLR wrote that drill instructors could be seen trying to control what ‘looked like race crowds’ and from other areas came ‘a series of unearthly shouts betokening the efforts of a final assault party to inspire terror into the hearts of a row of disinterested sacks’ [bayonet practice]. 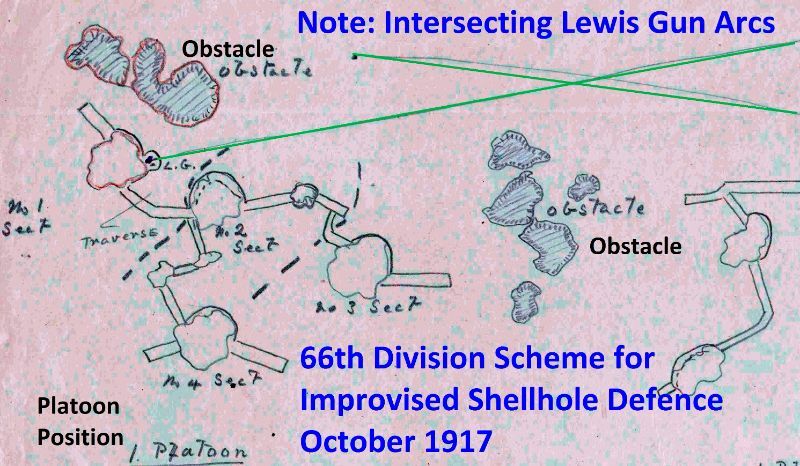 The solving of the ‘pillbox problem’ was no closer; various ideas for attacking strongpoints were simultaneously proposed and practised, many contradictory. 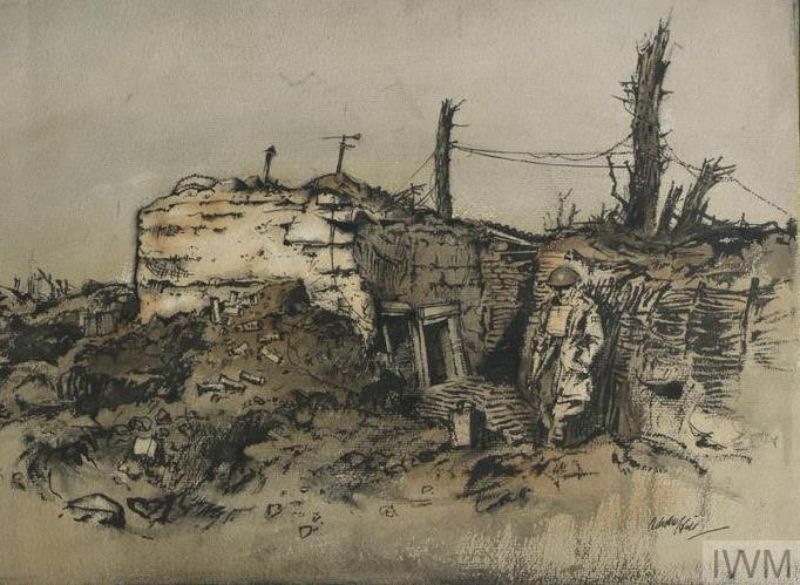 By 23 October, the division was moving up towards Ypres and after occupying billets described as ‘the lowest form of habitation that could possibly be described as a camp’ (corrugated iron and groundsheet lean-tos) the 2/6th KLR went into the reserve trenches at short notice. 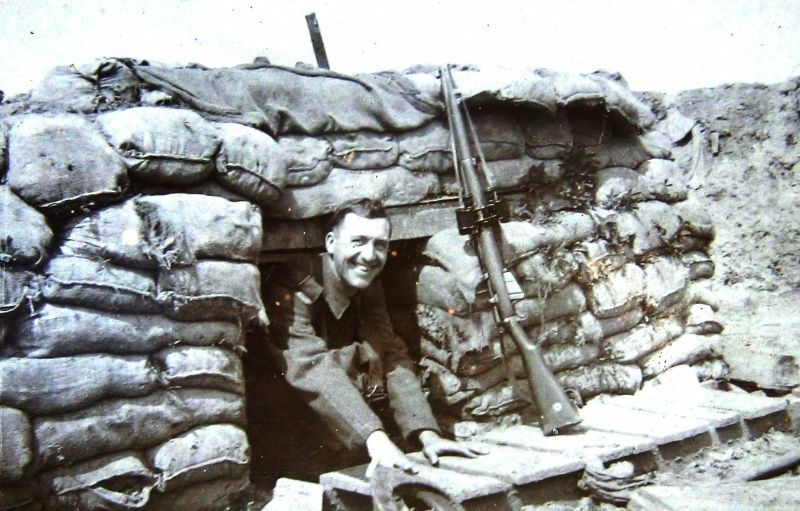 Although there were minor actions, patrolling and all the friction of trench warfare, only one of the 57th Division’s three brigades seems to have made a formal attack in this period. 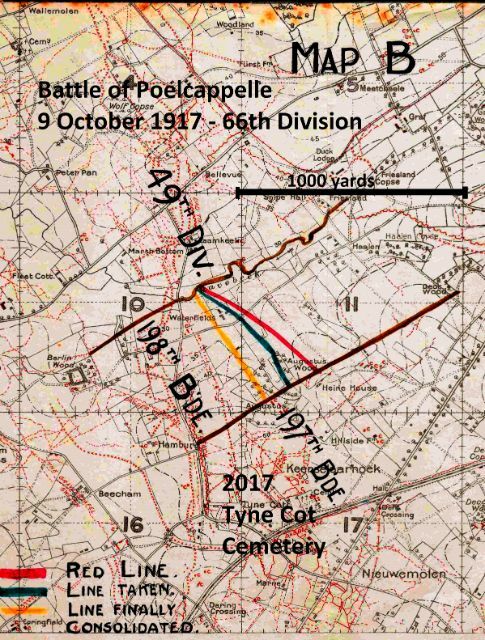 At the ‘Second Battle of Passchendaele’, just one phase of ‘Third Ypres’, 170th Infantry Brigade ( 2/5th Bn. King’s Own, 2/4th Bn., 2/5th Bn. and 4/5th Bn. LNLR) attacked on 25th October across 1000 yards of No Man’s Land with its three LNLR battalions forward and the 2/5th King’s Own in support. 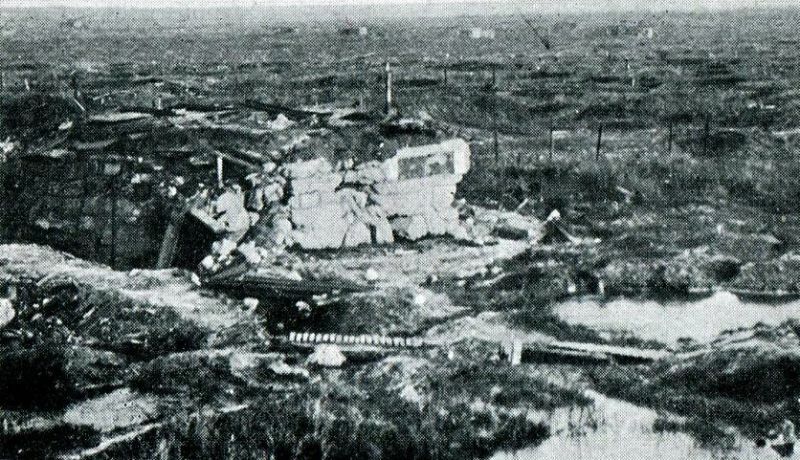 Battalions attacked three companies forward and one in support. Each platoon had a frontage of about 160 yards. Rifles and Lewis guns were almost impossible to use with the mud and reliance was on the bayonet. 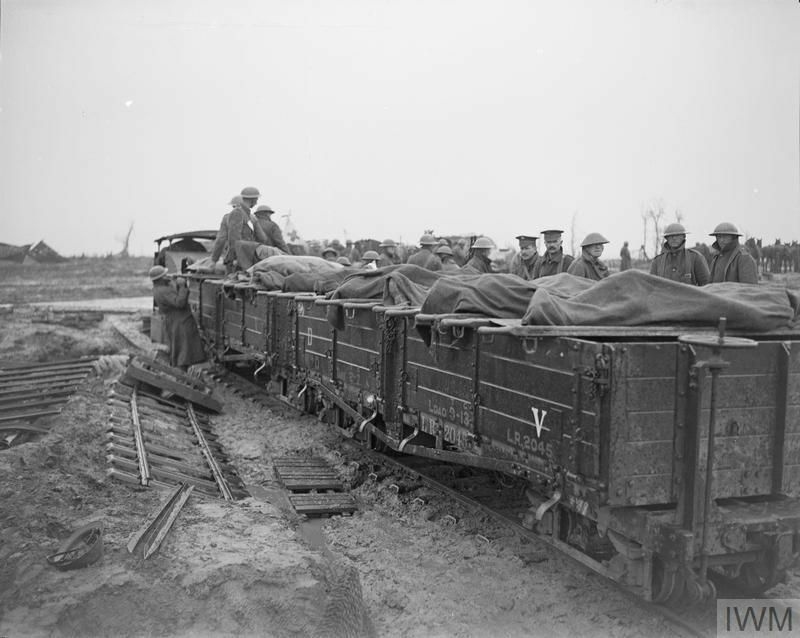 Casualties within the division in attack and support were very heavy. By the beginning of November the whole of the division was moving into a rest area. The account of the 55th (West Lancashire) Division at the Battle of the Menin Road Ridge and in the German counter-attack at Cambrai at the end of November, in which one of the division’s battalions virtually vanished, must wait till the next edition.